Product prices and availability are accurate as of 2019-04-24 08:07:04 UTC and are subject to change. Any price and availability information displayed on http://www.amazon.co.uk/ at the time of purchase will apply to the purchase of this product. 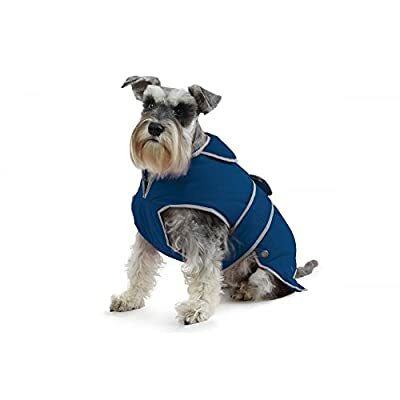 The Muddy Paws Stormguard & Fleece Lining Coat was designed to help protect your dog in most weather conditions. It also offers a reflective tape for your dog's safety, a lead slit, easy velcro fastening and elasticated leg straps. There are a number of different sizes, so please make sure you check the guide to find the right fit for your dog!